Unique and unfussy but undeniably eye-catching, Modloft’s Park Nightstand brings a two-toned, two-drawer twist to the typical! 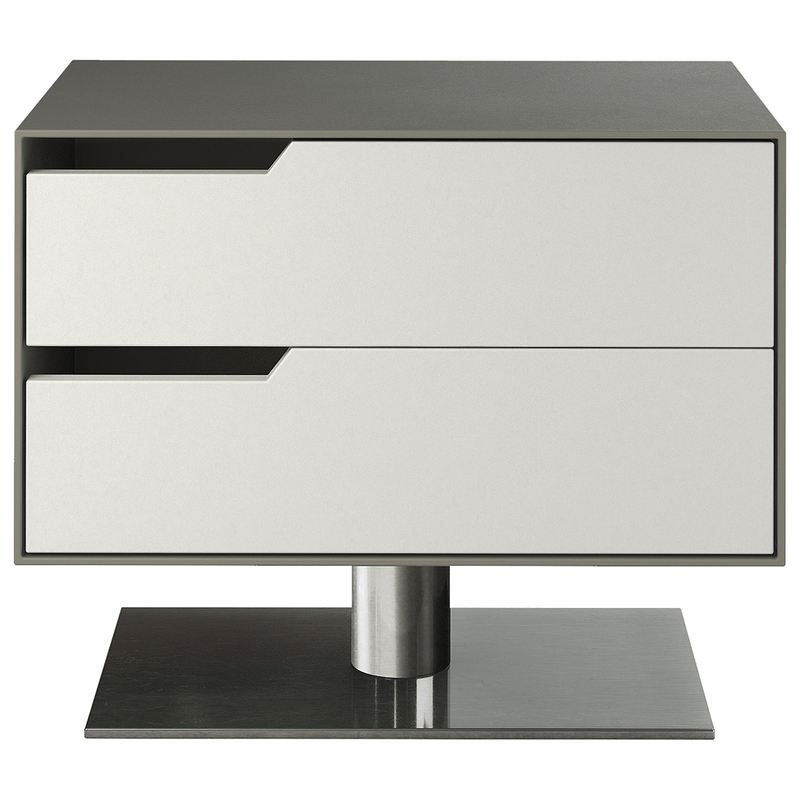 Designed by Guillermo Gonzalez, Park features a strong and shining base of steel to sturdily support two deep drawers lined in linen and outfitted with European soft-glide technology. Choose your favorite color combo and the orientation that best suits your bedroom space, and you’re on your way to crisp, clean style complete with spacious storage. 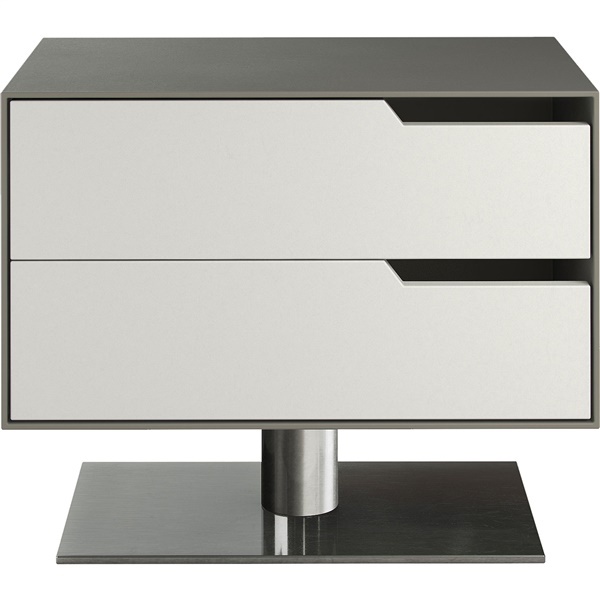 Steel base provides sturdiness and shine. Two generous drawers are lined in linen. Your choice of orientation and color combination. The base is metal but what is the cabinet material? 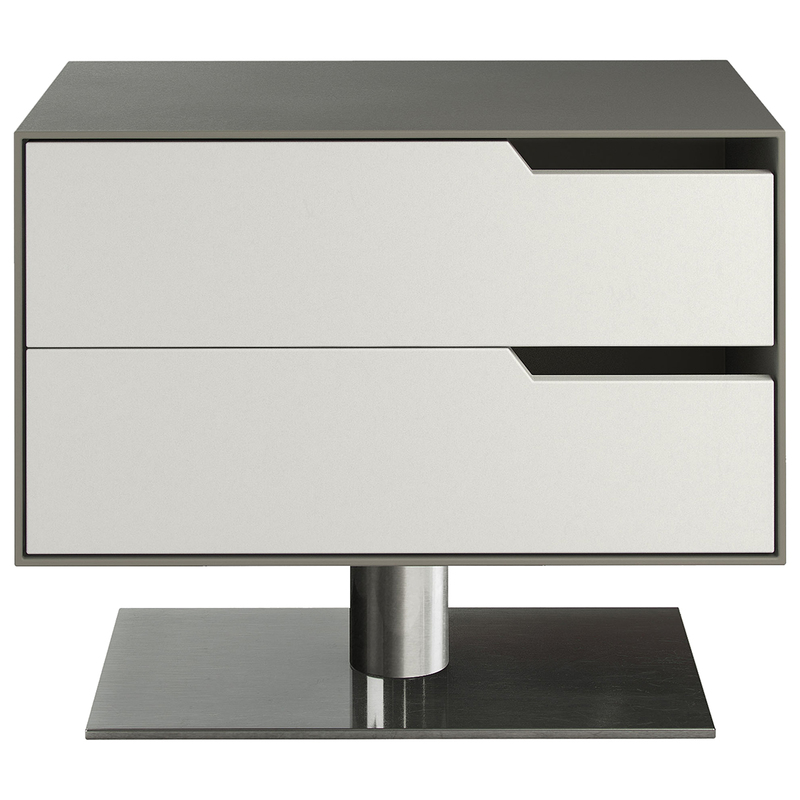 The Park Nightstand is made of composite UV coated matte lacquered wood with a polished steel base. The nightstand also has linen drawer lining.